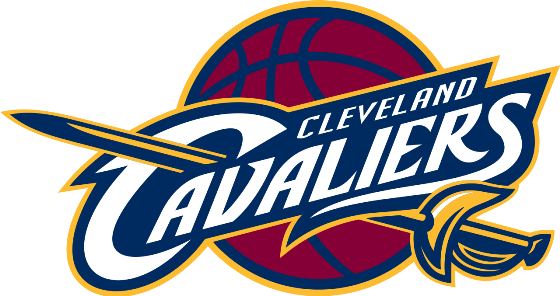 The Cleveland Cavaliers enter the playoffs as the defending NBA Champions looking to repeat en route to reaching The Finals for a third straight season. LeBron James is gunning to make it to The Finals for an incredible seventh straight year (Miami/Cleveland) as he attempts to further cement his legacy. Despite inconsistent play through the second half of the year, relinquishing the top overall seed in the conference to the Boston Celtics and the controversy met with resting players during marquee primetime games, many are still expecting Cleveland to roll through the Eastern Conference. This should not be a foregone conclusion by any measure. The Cavaliers enter the playoffs on a four-game losing streak and losers of seven of their last 11 games. An 11-game sample towards the end of a long season doesn’t especially signal trouble, but the story of their troubles goes beyond that. Cleveland finished the regular season 20 games over the .500 mark at 51-31. Cleveland entered 2017 with an impressive 26-7 record making them only 25-24 in the New Year. 49 games is well over half of an NBA season. Yes, a team with championship aspirations can coast through a near 50 game stretch, and playing just above .500 qualifies as coasting. The biggest indicator of a team in trouble is how they played in their home stretch. The Cavaliers high water mark was 24 games above .500 at 41-17 (February 27th) and 42-18 (March 3rd). Cleveland finished the final quarter of the season 9-13 which is the same four games under.500 as the 4-7 finish. Cleveland also gave up over 107 points per game for the season. This shows that the final stretch wasn’t just a team going through the motions in the final games, but problems getting everything together. A team should also be peaking at the end of the season, not playing their worst basketball of the season. The Cavaliers have problems and overlooking them just speaks to the obsession NBA followers have for superstars like LeBron James. If Cleveland and Boston meet in the Eastern Conference Finals, Boston will have home court advantage. While a veteran team like Cleveland has certainly shown they can win big games on the road in the playoffs, it isn’t always easy, and this season Cleveland went 20-21 on the road for the regular year. The Celtics, on the other hand, went 23-18 so they are more than capable of winning on the road in the playoffs. That means that if these two meet in a series and Boston wins one road game, Cleveland would have to win two. I don’t see Indiana giving Cleveland much trouble in the first round of the playoffs; so, they could figure things out and get in groove against the Pacers. Cleveland needs to flip the switch, which is always a dangerous game to play. With the way most of the second half of the season went, the question has to be asked if they know where the switch is?